Blue Chihuahua Records | The Little Label With A Big Bark! We know it’s been a bit quiet around here for awhile, but Blue Chihuahua Records is back, with a new CD from Cindy Bear and Franc Robert titled “Hearts In Blues”-12 tracks of acoustic blues and folk from the award-winning duo Bear & Robert! You can order the CD directly from Blue Chihuahua Records now for $10 (plus $3 shipping and handling in the USA). Digital downloads will be available starting April 2nd! Head on over to the CD page to order your copy TODAY! The Day We’ve All Waited For is HERE! “Goin Down To Florida” is now officially released-go to the Store page to have a listen, then buy your copy! KTEP in El Paso, TX also played a tune today!!! Many more to come, to be sure, so stay tuned! Yep, it’s finally on it’s way!!! 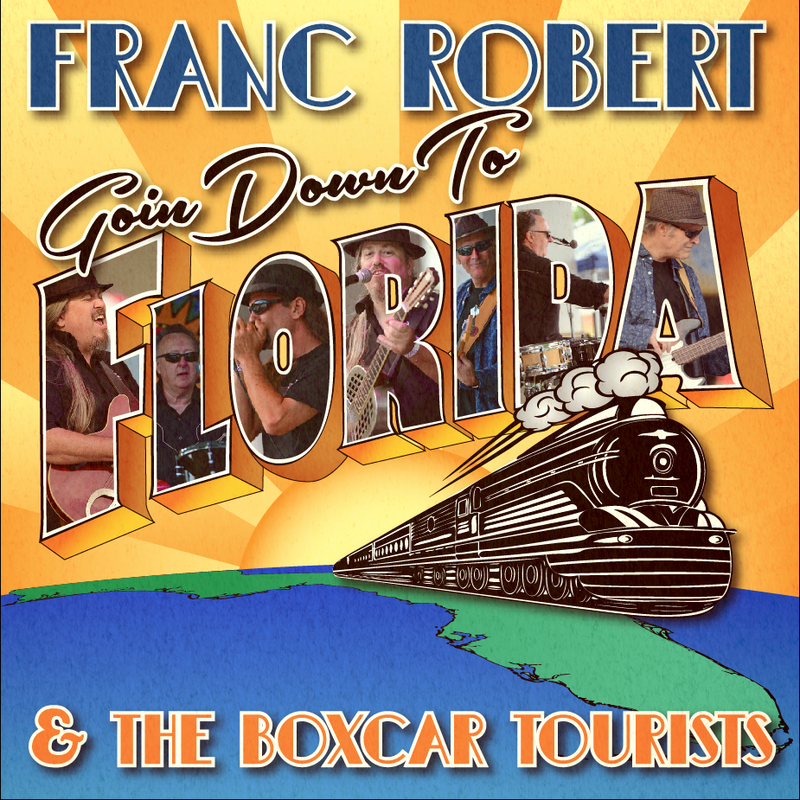 The NEW CD from Franc Robert & The Boxcar Tourists “Goin Down To Florida” will be officially for sale on June 23rd, 2015-look for it at all your favorite online outlets, at the band’s gigs, and select music stores in the Tampa Bay Florida area!! 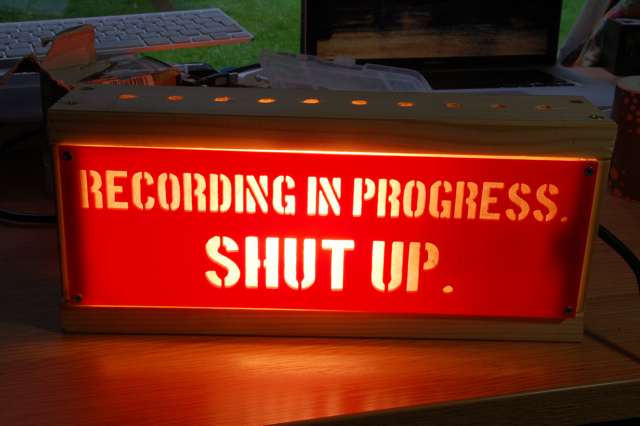 To whet your whistle a bit more, here’s the title track LIVE in the studio!!! “Cheap Cadillac” coming soon from Franc Robert & The Boxcar Tourists! Over the last few months, Franc Robert and his band, The Boxcar Tourists (Dave Simmons-Drums, Sam Mudd-Bass, and Smokin Joe Sadowski-Harp) have been writing up a storm, and are getting ready to record in early March. This record will be Franc’s 6th, and the 2nd with The Boxcar Tourists. Look for it sometime this summer! In the meantime, here’s a taste of what’s coming down the pike-enjoy! Another Cool Review for “Ride The Iron Road”!! The last time that Franc Robert showed his acoustic side was on 2011′s well received Why Do I Ever Win. Since then Franc has issued Mulligan Stew in 2012, and now he returns to his acoustic side with Ride The Iron Road, on Blue Chihuahua Records. At 41 minutes Ride The Iron Road shows off 11 originals and three traditional blues cuts. As an acoustic set, the simplicity of the presentation really adds to the impact of the music, with only Franc and his guitar(s) painting vivid images, as this Florida native is so talented at doing. The sound is clear and unadorned, allowing the music to stand on its own merit. While very satisfying all the way through, we found a few selections particularly interesting. “Chihuahua Blues” reminded us a lot of “Rambling On My Mind,” in a pleasing way, and “Dem Devil Bones” is a brisk paced George Thorogood inspired acoustic romp that will have listeners slapping their knees to the beat. “Mississippi On My Mind” is simply great picking, superbly played. “Railroad Blues” is fast paced pickin’ and slidin’ fun. “St. James Infirmary Blues” is a really interesting performance, presented here as a shuffle, and almost upbeat. Ride The Iron Road is an album best enjoyed when listeners want a break form the loud brashness of an electric blues set, and instead want to enjoy a more quiet and intimate blues experience.